When I first came to Belgium, that was like half a decade ago, I was very frustrated because I couldn't find the flour that I wanted for baking in the nearest supermart. I wanted to buy Plain Flour or All-Purpose Flour, but all I could find was "Tarwebloem", which when translated to Dutch, means wheat flour. The other flour which I saw was "Patisseriebloem" or Pastry Flour. All my baking recipes never mentioned using wheat flour for baking, they either ask for Plain Flour or Cake Flour so what the heck was that? Little did I realise that "Tarwebloem" in Belgium is just Plain Flour or All-Purpose Flour. So I can imagine when readers from other countries try to understand the different types of flours we have in Singapore and Malaysia, it must be mind-boggling for them. Cake Flour, Hong Kong Flour, Superlite Flour, Top Flour. Why can't they use standard terminology for naming flours? Beats me why. Anyway, after poring through a few articles over the internet, I am sharing with you what I know about flours, especially flours for making cakes, tarts, cookies, breads or buns from southeast asian recipes. To understand what type of flour to be used for what type of cakes, tarts, cookies, breads or buns, you have to first understand the role of protein and gluten in flours. Flours are either wheat-derived or from non-wheat sources (gluten-free). Wheat flour contains protein and when it comes into contact with water and heat, it produces gluten, which helps yeast stretch and rise, and which gives elasticity and strength to baked goods. Different types of wheat flour contain different amounts of protein, so the main difference between flour types is in the gluten content, which can vary depending on whether the flour is made from hard wheat or soft wheat, what brand it is, whether it is bleached or unbleached or for what purpose. At one end of the spectrum, you have Cake Flour (lowest protein level, 6-8%), then you have Pastry Flour (8-10%) and All-Purpose or Plain Flour (medium-protein level, 10-12%), and at the other end of the spectrum, you have Bread Flour (highest-protein level, 12-14%). The type of flour used will ultimately affect the finished product, so always use the type of flour which the recipe specifically calls for. Cake Flour (low-protein flour, low-gluten flour, 低筋面粉) is a finely-milled soft wheat flour with a high starch content and a low protein content (6-8%). It has the lowest protein content of all wheat flours. It is smooth and velvety in texture. Cake Flour is almost always chlorinated (bleached), which toughens the protein molecules, enabling the flour to carry more sugar and liquid without collapsing. Good for making cakes (especially white cakes and biscuits) where a tender and delicate texture is desired, or cakes with a high amount of sugar and liquid in proportion to flour. One cup sifted Cake Flour can be substituted with 3/4 cup (84 grams) sifted bleached All-Purpose Flour plus 2 tablespoons (15 grams) cornstarch. Cake Flour is sometimes also called "Softassilk Flour". Pastry Flour is similar to Cake Flour, but not bleached. It is made from soft wheat flour and has a slightly higher protein content (8-10%) than Cake Flour, which aids the elasticity needed to hold together the buttery layers in flaky doughs such as croissants, puff pastry and pie crusts. It is soft and ivory in color. The medium protein level makes Pastry Flour great to use in recipes where you want a tender and crumbly pastry, as too much protein would give you a hard pastry and too little protein would give you a brittle dough. Good for making pastry, pies and cookies. To make two cups of Pastry Flour, combine 1 1/3 cups (185 grams) All-Purpose Flour with 2/3 cup (90 grams) Cake Flour. 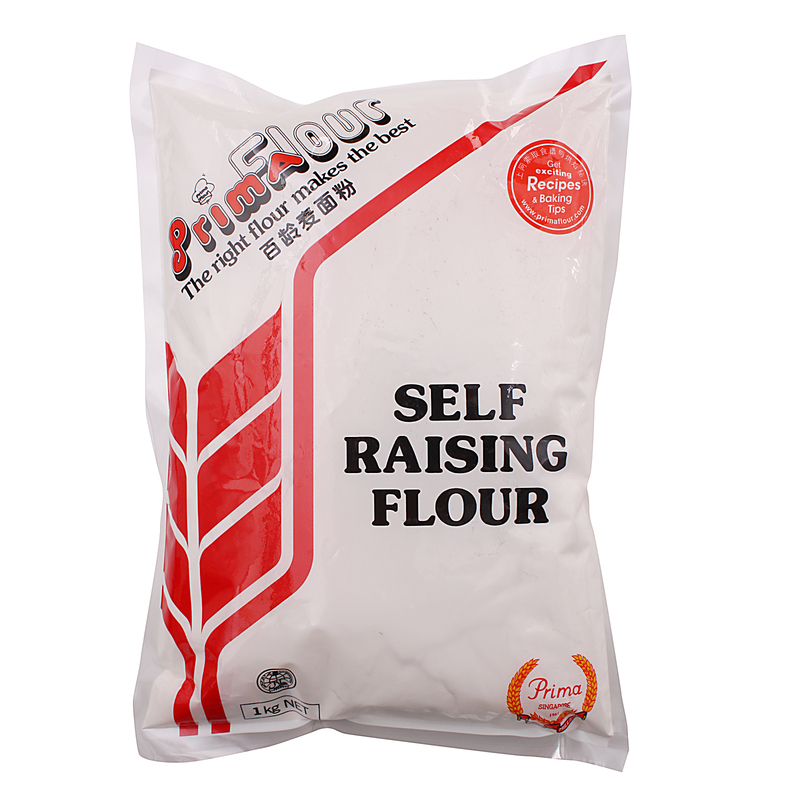 Self-Rising Flour (自发粉) has a 8-9% protein content and contains flour plus baking powder and salt. If the flour is stored too long, the baking powder will lose some of its strength and your baked goods will not rise properly. If you want to make your own SR Flour, add 1 1/2 teaspoons baking powder and 1/4 teaspoon salt per cup (130 grams) of All-Purpose Flour. 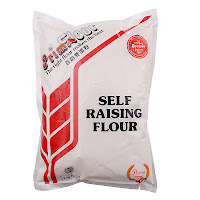 All-Purpose Flour or Plain Flour (medium-protein flour, medium-gluten flour, 中筋面粉) has a 10-12% protein content and is made from a blend of hard and soft wheat flours. It can be bleached or unbleached. Good for making cakes, cookies, breads, and pastries. 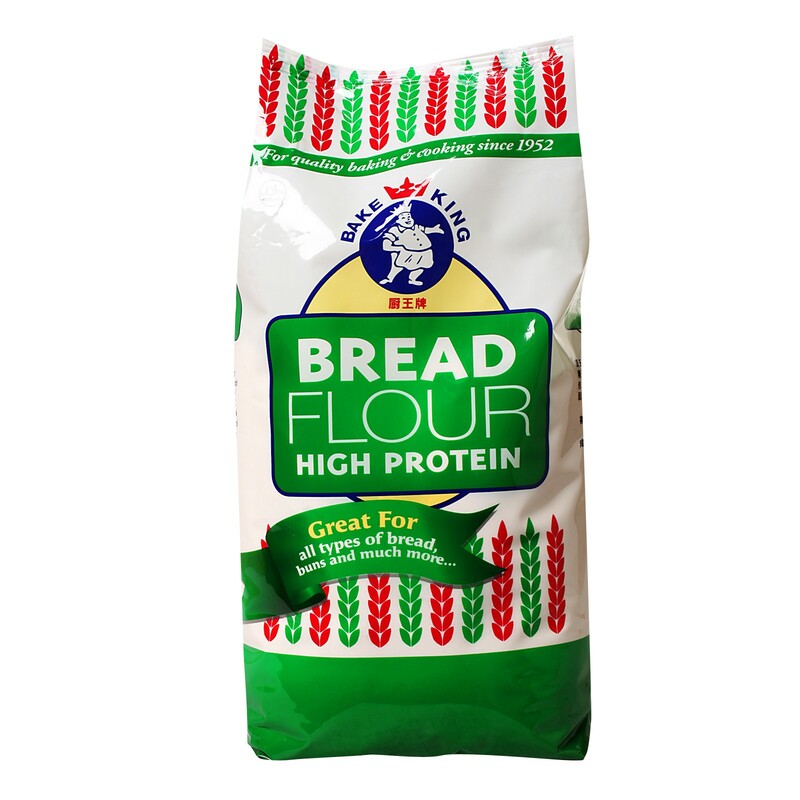 Bread Flour (high-protein flour, high-gluten flour, 高筋面粉) has a 12-14% protein content and is made from hard wheat flour. The high gluten content is great for bread baking, because when combined with water, the flour becomes elastic from gluten formation, and this gives you the chewy texture that is desired in a good bread. Comes in white, whole wheat, organic, bleached and unbleached. Good for making breads and some pastries. The above cover more or less all you need to know about flours in the western baking world. When you need to make chinese steamed buns, the recipe often calls for using Hong Kong Flour (Waterlily Flour) or Pau Flour or Cake Flour, you start scratching your head again and ask what the heck is that? Actually HK Flour = Waterlily Flour = 香港水仙面粉. Pau Flour is most of the time synonymous with HK Flour, but not always, because some Pau Flour comes pre-mixed with added yeast. Then you wonder, why do you need HK Flour, Pau Flour or Cake Flour to make chinese steamed buns, why can't I use ordinary Plain Flour? Well, HK Flour is highly bleached. Freshly-milled flour is unbleached and is yellowish naturally. Bleaching not only whitens the flour, it breaks down the gluten level further and makes the flour softer. HK Flour has about the same protein level as Pastry Flour, about 8-10%, whereas Cake Flour has a slightly lower protein level, about 6-8%. Hence HK Flour, Pau Flour and Cake Flour which are all bleached low-protein flours are suitable for making asian dim sum especially the HK-style smiling char siew buns which have a very white fluffy texture. Then how does HK Flour differ from Superlite Flour and Top Flour which are often mentioned in recipes from Singapore and Malaysia? According to the Prima Flour website, "Superlite Flour is a super soft flour best used for making Hong Kong type steamed buns, Japanese castella cake, Malay sponge cake (kueh baulu) and others where a specially soft and light texture is required. 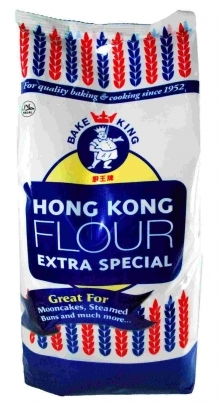 This flour is also referred to as "Hong Kong Flour" by some users." Ok, mystery solved. So the Prima brand Superlite Flour is actually just Hong Kong Flour! Then what about Prima Top Flour? The Prima website says that "Top Flour is an extra-fine quality flour to give exceptionally smooth and fine texture for your baking needs. It is especially ideal for baking very fine cakes; such as chiffon cakes, swiss rolls, crepes, cake doughnuts and butter cookies." I have never used Prima Superlite Flour or Top Flour before, and I don't know their protein level so I can't tell you what is the difference, but I suspect if there is a difference, it is very subtle in terms of protein level. They should be very similar in nature as in they are both low-protein flours for making delicate cakes and cookies. Not to forget, Prima also has a Cake Flour which we already know what it is. The Prima website says that "Cake Flour is a superb quality, soft-as-silk flour. It has excellent tolerance to a high amount of butter and sugar, resulting in cakes of good volume. 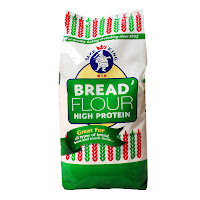 This flour is best used for baking sponge cakes and very rich cakes like pound cakes." I have never understood why flour mills such as Prima need to come up with so many different types of low-protein flours just to confuse the consumers? Why don't they just label the protein level for its flours. Just tell us how much protein level (and gluten level) there is in Superlite Flour vs Top Flour vs Cake Flour, is it that difficult? So if one wants to bake a chiffon cake, do you only use Top Flour? Total rubbish. I have always used Cake Flour (not the Prima brand) for making chiffon cakes bcos I can't get the Prima Top Flour or Superlite Flour here, and sometimes I substitute by using All-Purpose Flour with a little cornstarch. Coming up, more pictures of flours will be uploaded and there will also be a Part 2. Very informative! I look forward to part 2 and more, thank you. I totally agree with you that Prima Flour has so many types of flour and many times I was so confused. I find using Bake King brand a breeze, its Top flour is also cake flour. Simple to buy and simple to stock. Unlike Prima Flour which has Superlite Flour, Top Flour, Cake Flour, so complicated. When I run of flour for my chiffon bake, I simply used plain flour mixed with a small amount of corn flour to make cake flour. Thank you for your comments. Yes, I was actually looking through the Bake King website for Cake Flour and I couldn't find any, now I know the reason, so Bake King's Top Flour = Cake Flour. Thank you! I was too busy to make a comparison between Bake King and Prima brand, so I only talked a little about Prima's selection which is indeed very confusing. Why do they differentiate their products so finely, primarily because they want to sell more flours! I only made do with 3 types of flours, plain flour, cake flour and bread flour. Only the cake flour has to be specially bought from Chinatown, I am using a Thai brand called "Royal Fan Cake Flour". For my plain flour and bread flour, I always choose the cheapest supermart house brand, dirt cheap here. If cake flour is hard to get from your end, why not make your own by following the below formula. Step One: Measure out the all-purpose flour that you’ll need for your recipe. Step Two: For every cup of flour you use, take out two tablespoons of flour and return it to the flour bin. Throw the cup of flour (minus the two tablespoons) into a sifter set over a bowl. Step Three: Replace the two tablespoons of flour that your removed with two tablespoons of cornstarch. Step Four: Sift the flour and cornstarch together. Look at that! You just made cake flour! I only stocked 4 types of flour, i.e. Plain flour, Bread flour, Hong Kong flour and Cake flour. The reason I buy cake flour instead of make it myself because in Singapore flour is readily available. In fact, we can get very good bakery products in S'pore. The baking equipment available here are also of good quality. I specially like to make Chinese pastries and we are spoiled for choice in S'pore. I like mooncake ingredients from Kwong Cheong Thye, very good. Thanks for your detailed explanation! I'm sure readers will find it very useful. I have no difficulty getting cake flour, just need to drive to Chinatown, only have problem getting HK flour. Sometimes I also use plain flour + cornstarch to substitute cake flour when my cake flour runs out, just like what you did. I've tried to use pau flour in place of HK flour, bcos I can get pau flour easily here, but I dun like the fact that some premixed pau flour contains added yeast. Also, I am quite wary of pau flour made in China, after hearing about so many tainted food scandals over there, so I try not to buy flours that are made in China. Since recently, I have been using cake flour to make steamed baos instead of HK flour since I can't get my hands on HK flour. I find that the results are equally good, if not better. Thanks for the information. I was confused too by he flour available in Belgium so tedious just trying to understand it. Now I am clear about it.My husband told me the wrong info...so thanks again. I am returning to Singapore end week. Is there anything you want me to try to bring back for you? Sadly no I live in Huy rather far away from you. Sigh...well hopefully one day I will come up to visit you..
Wow, that's 150 km and 2 hours drive from my place ! Pm me and we can talk privately. Miss B, is blessed to have all these type of flour selection in Belgium because when I was in Singapore that's what I can get, many selection! But now I'm in Australia...oh no, I can't find any of the above! Welcome to my blog. Actually all the pictures are from the internet, I can't get prima and bake king flours here. I do have flours from the first 2 pix, cake flour and pastry flour, whereas my bread flour, SR flour and plain flour are all local brands or house brands from the supermarket. Actually there is a really great difference in prices even in tarwebloem in Belgium. I used to buy the Soury brand, since it is much more expensive than the colruyt house brand. But later I realise the colruyt house brand is just as good. I also use the ALDI house brand of plain flour since it is the only type available there and it is dirt cheap. I try not to buy SR flour bcos most recipes I see use plain flour and with SR flour, you dunno how much baking powder there is and the strength of baking powder decreases with time. Last time when I baked butter or pound cakes and the recipe mentioned cake flour, I used to ignore it, thinking that cake flour is meant only for chiffon or sponge cakes and it wouldn't matter if I just used plain flour. And my pound cakes turned out to be dense, now then I realise the reason. Cake flour is also important for cakes that have a high butter, sugar and liquid in proportion to flour. Thanks for your information, kind of clearing my doubts about top, superfine and HK flour. Hi Miss B, thank you for the detailed explanation of different types of flour. I found so many recipes for steamed buns - but some called for "pau flour" and I had no idea what that was. I will be trying out a recipe for steamed Chinese Sausage bao tomorrow - will be using cake flour based on your explanation. I will come back and let you know if I am successful in my attempt. Hi there, i am new to baking, and really have a hard time in understanding all the flour types and not knowing who to ask, thinking that i will never get to try those recipes. But thanks to ur information, it really clears everything. Now i can start trying cos actually we got all the different types of flour available. Are you moving to the Dutch-speaking or French-speaking part of Belgium? 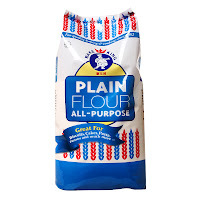 All-purpose flour / plain flour is carried in all supermarkets. It is known as "tarwebloem" in Dutch. I think it is called "farine de froment" in French. Gluten-free flour is known as "gluten-vrij bloem" in Dutch, I never pay notice to it in supermarts. But I think you should be able to find in supermart chains such as Dehaize (see link) or Carrefour. If not, you can always try Aveve shops with a baking section. Aveve is a chain of shops that carry plants, gardening products and baking products. Just a note, only some types of flours which I showed above, are available in Belgium, such as plain flour, bread flour, pastry flour and cake flour (only avail in Chinatown). The rest are from Singapore. Just to name a few....I maybe wrong about the unavailability of those things which I just stated, but I have been searching around and in the end I always end up getting them from my hometown. Oh I forgot, self-raising flour is available here. Thanks for the list... that is actually very helpful. My husband has been there for 5 weeks and hit the asian market to see what types of things they sold as I figured they would be more likely to stock certain items. But I will definitely be packing stuff to bring with me. Certain things you listed didn't even occur to me would be hard to find. When you say golden syrup do you mean like lyes golden syrup or like corn syrup? Fortunately my mom will visit us twice a year so I'll just have to send her lists of things to bring with her lol. Hi Stephanie, you are welcome. Hi, my name is Rachael from NZ? . Would like to know if Hong Kong flour is available here. I am not sure, I live in Belgium. You got it wrong. I never said that pau flour can be used the same way as pastry flour, which sentence did you read it from? I only said sometimes cake flour can be used as a replacement for hongkong flour. Pau flour usually comes with added yeast, you should not use pau flour for recipes that require AP flour, or to make pie crusts or cakes. You may do that with cake flour, but not pau flour. You can use it to make mantou or steamed hee pan. There are so many different kinds of steamed buns/mantous, I am sure you will be able to put it to good use. If yours don't come with yeast, then you may try to use it in a recipe that requires CAKE flour. No harm trying, only when you try then you know if it is suitable. Phew! that clears the air about the confusing array of flours. Really helpful. Where is part 2? :) cant seem to find it on your blog. Only if the low-protein flour is bleached, as explained in my article above...if it is not bleached, you will not get white buns. 1. what is the differences between tarwebloem and patentbloem? 2. I find it very confusing because sometimes the package states that it is patentbloem or even wheat bloem or patent tarwebloem but looking at the ingredients, it states tarwebloem. Do you look at the protein content in the nutrition information instead? 1. Tarwebloem literally means wheat flour, but don't be confused by the name , it is just plain flour / all purpose flour in layman terms. Patent bloem is something only avail in NL, we dun have it here in BE. 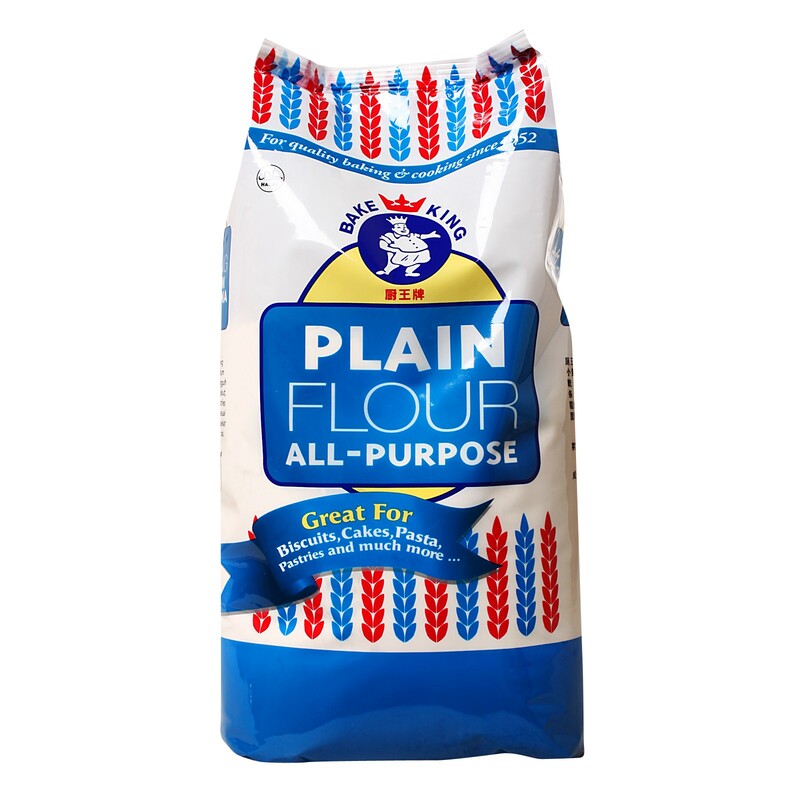 From what I googled, patentbloem is also called amerikaanse bloem (american flour, which I have no idea what it is). It is supposed to have more gluten than tarwebloem, and is more suitable for baking bread. If you notice, you cant really get bread flours in NL, they sell mostly bread mixes, at least that was what I was told by people who live there. So apparently people in NL use patentbloem to bake bread instead. 2. If the package does indicate the gluten content, then it would help to differentiate. Otherwise just make a mental note that patent bloem has more gluten and gives a more elastic structure than tarwebloem (which is just plain flour). Sidetrack: I have heard that the cakemeel or cakebloem in NL is not really what you would expect of a cake flour from asia. I have a recipe called for Easy Asian Soft Bread Flour. Please tell me what it equivalents to what type of flour we have known. I have no idea what is Easy Soft Bread Flour, never heard of it. this is a time tested sharing on flour from Ms Everybody Eats Well in Flanders. I have top flour and Cake flour, but want to make Huat Kueh. This info answers all my confusion. Thank You very much and Enjoy your flour cooking. This is really useful information. Really looking forward to your part 2. Can i add on questions to it? I know bleached flour makes end product whiter but is bleaching of any other good other than the look? Else like to stay unbleached cos read about bleaching is bad for health. You are awesome. I beg for Part 2!, the flour consumer needs you! Thank you for the detailed information. Thats clear my doubt about cake flour and hong kong flour. thanks again. Awesome article noticed it's 4 years old! I wish those flours didn't need bleach to behave right. That is bad for our health so I use unbleached flour. Thanks for the protein %'s, very useful! Polo Bao/Pineapple Bun (菠萝包) - 1st Attempt !